The SSA will be presenting an extract from The Winter’s Tale as part of the Ruff Fashion Show, being held at the Square Tower on Friday 22nd April at 6pm, so grab a ticket if you fancy some more pastoral perfection. The latest edition of our newsletter, Billboard, is now available. It’s emailed to all our members, but for those of you new to the SSA, or just hopeless with email, here it is in all it’s glory Billboard April. 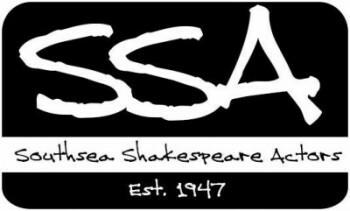 There’s loads on The Winter’s Tale, MAAP, the AGM and (drum roll please) the expos being held next week for our October production of Murder in the Cathedral, and our November production of As You Like It. Billboard is mainly written by Rob Bartlett so you’ll have to excuse the spelling and grammar, but you know what they say – if you leave a chimpanzee in a room with a typewriter for long enough, eventually something vaguely readable will be produced! Finally, news reaches us that the fantastic Songologues is back, as part of the Front Room Words event. It’s all going on at the Aurora Bar, 40 Albert Road, from 7pm on Thursday 5th May, so be there and be entertained. Rave Reviews, Exciting Expos – it’s all just too Wonderful for Words!